Winter is closing in and Kongens Have provides a nice peaceful retreat from the busy city life. Kongens Have is located right next to Nørreport Station and is within easy walking distance from shopping streets Strøget and Købmagergade. Around the park you’ll find plenty of small shops selling coffee, drinks and snacks (check the Tranque Bar article). My favorite thing to do is find a cold bottle of white wine and a couple of plastic cups and sit in the grass with friends. It’s an old park and used to be the King’s private garden back in 1606 when the park was built (hence the name, literally “The Kings Garden”). It became publicly accessible in the 1770s. 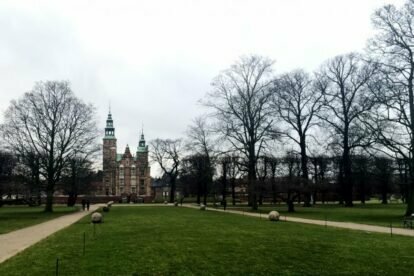 Apart from the beautiful Rosenborg Castle (which is worth a visit on a rainy day. The royal jewels are on display there), you can find a puppet theatre, playground and a couple of restaurants in the park. The park also hosts a number of events, incl. live jazz, the occasional big screen sporting event and perhaps the longest flowerbed in Europe at 250 meters.